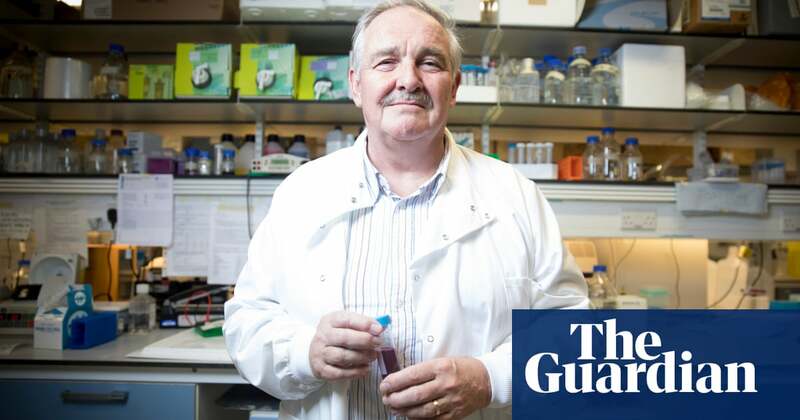 This is what my brain looks like,” says David Nutt, showing me an intense abstract painting by a friend of his that is sitting on the windowsill in his office. Nutt’s base at Hammersmith hospital has a cosy, lived-in feel – a stark contrast to the gleaming white laboratory he oversees as director of the neuropsychopharmacology unit at Imperial College London. Lab coats hang on a hook by the door, an ancient kettle sits in the corner and next to the painting is an unruly collection of objects that offer clues to his research interests: brain-shaped awards, an atomic model of Nutt’s invention for detecting inflammation in the brain of Alzheimer’s and Parkinson’s patients, a poster for the 1967 film LSD Flesh of Devil and two carved wooden mushrooms – the final items hinting at his role at Imperial’s psychedelic research group.